Minnesota is no stranger to April snow, but that doesn't mean we have to like it. 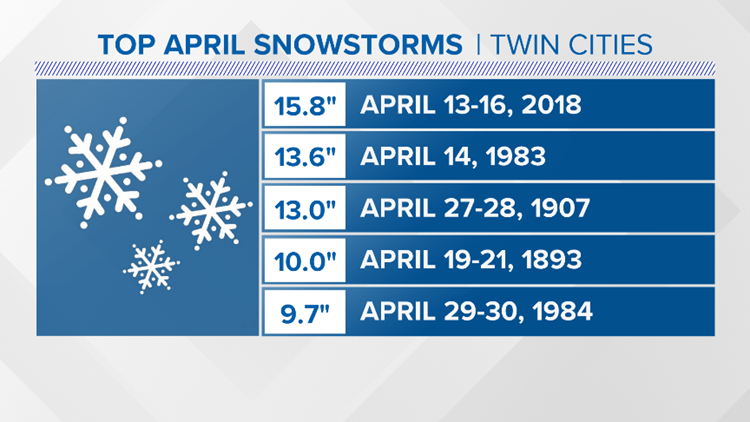 It was almost one year ago when 15.8" fell on April 13-16, 2018. Winds and a whole lot of energy gave the storm the title of a "Thunder Blizzard." This time around the storm brought sleet mixed with rain and snow. 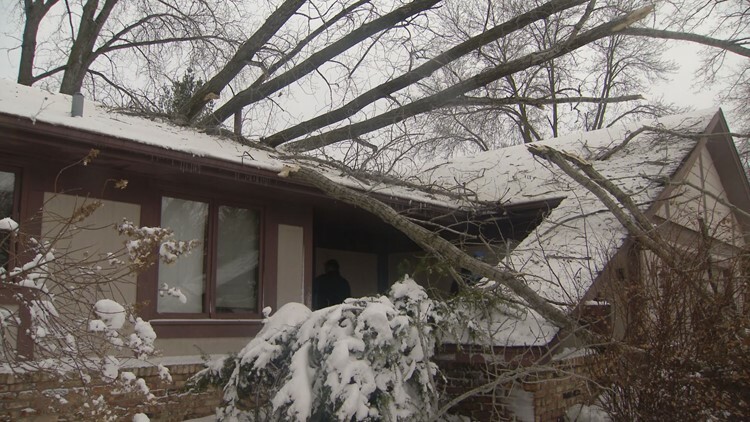 Tree falls on a Fridley home on Thursday. Fortunately there were no injuries. This April snowstorm also has powerful winds. The State Patrol tweeted out an incredible video of a trooper knocked to the ground by a wind gust. The trooper was directing traffic around a jackknifed semi Thursday morning on Highway 86 and Interstate 90 in Jackson County. In Fulda, Minnesota, MnDOT tweeted video of power poles on the ground lining Highway 59. 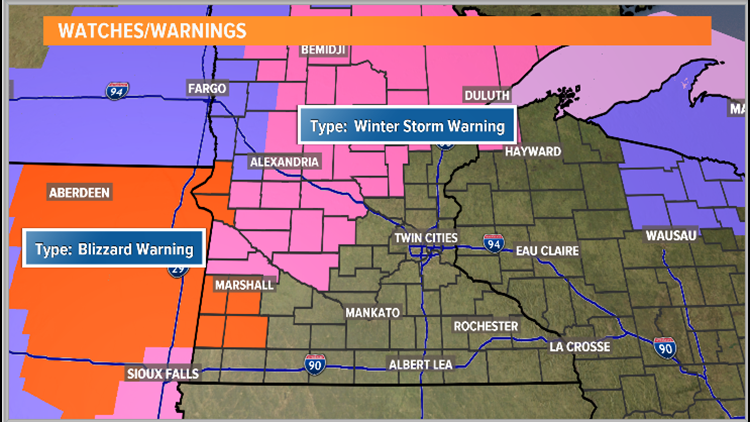 The Twin Cities are no longer in a Winter Storm Warning, but the warning continues for counties to the north and west. Winter Weather Advisories are in effect across central and northern Minnesota with Blizzard Warnings in western Minnesota. 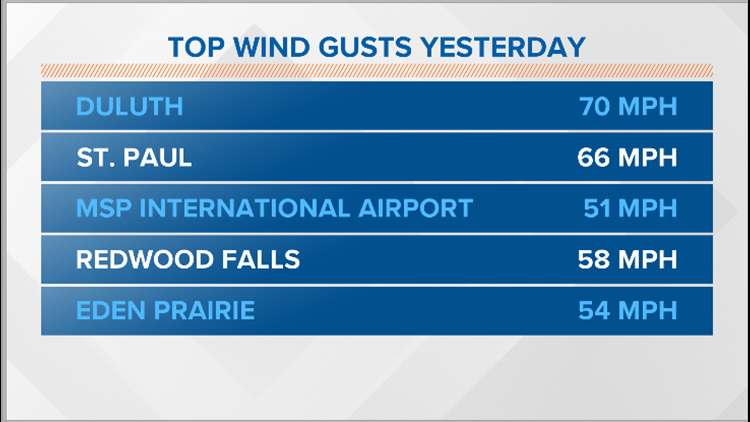 Wind gusted to 66 mph at the St. Paul Airport, 54 mph at MSP and 70 mph in Duluth at 4pm. 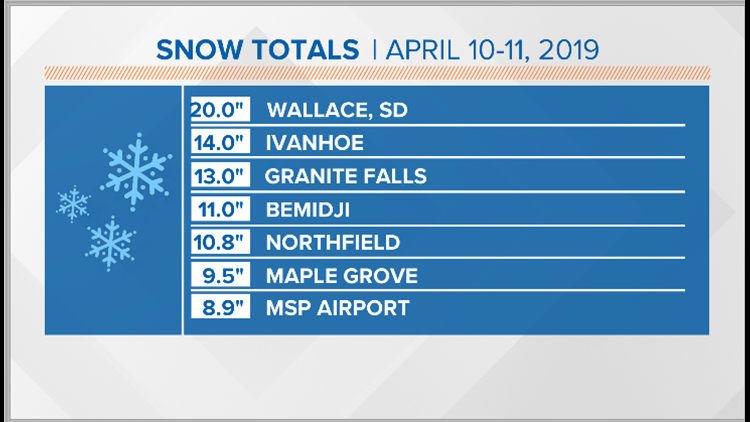 Snowfall ranged from 14" in Ortonville, and 20"+in western South Dakota, in the metro ranged from 6" to 11" of heavy wet snow. Be sure to stick with us. We will keep you posted as we track the storm.